Richard Casper (BFA 2012) has always been optimistic about life. 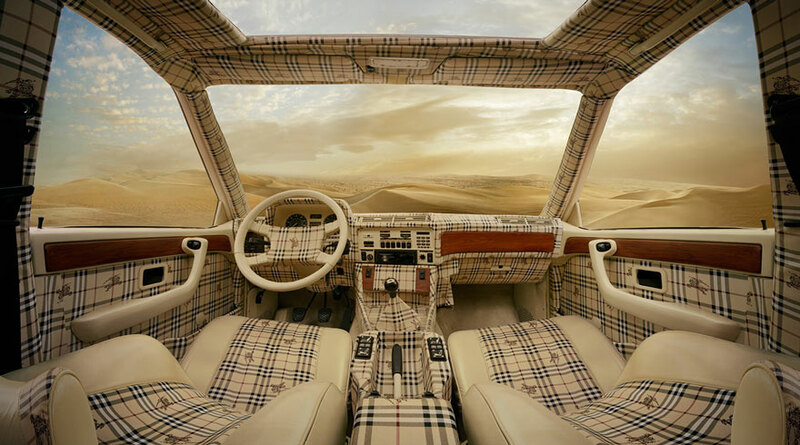 Instead of allowing the trauma and injuries from his tour of duty as a Marine Corporal in the Iraq War to consume him, he turned them into something positive. 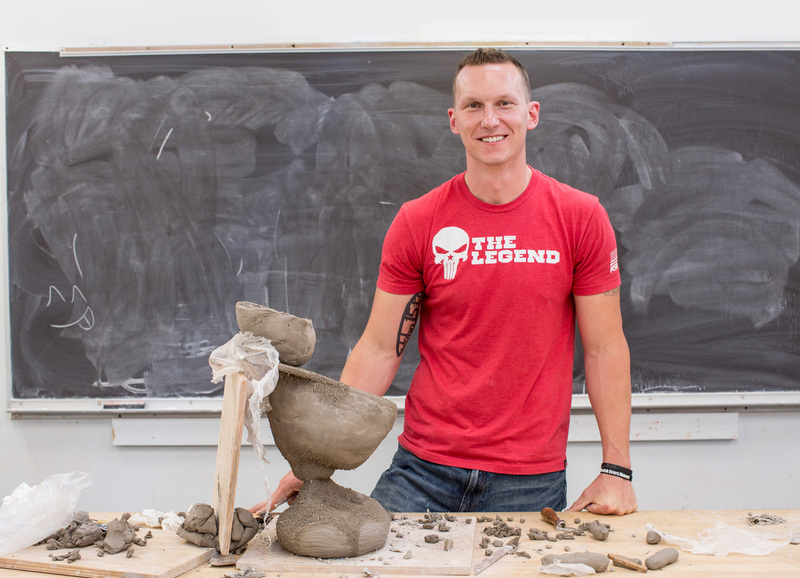 From May 25 to June 12, 2015, Casper taught a three-week intensive course called Intro to Art for Veterans at SAIC. 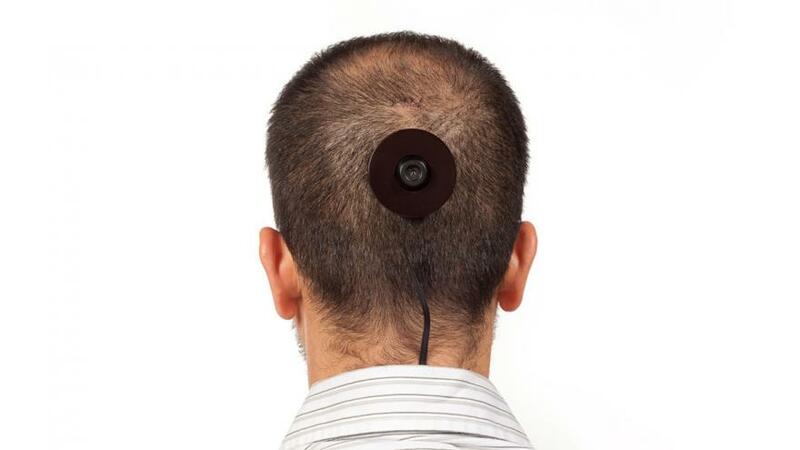 He developed the program with the support of Paul Coffey, Vice Provost and Dean of Community Engagement at SAIC, and the teaching assistance of two faculty members: Associate Professor of Photography Alan Labb and Ceramics Professor William O’Brien. Six veterans from across the United States participated in the program after submitting applications to and receiving financial support from Casper’s nonprofit organization CreatiVets. “I hope the course will give them the tools to cope with their stress and anxieties,” says Casper. Casper returned home from active duty in 2007 after sustaining injuries from four improvised explosive device (IED) explosions in Iraq. An injury had affected the left side of his brain, allowing the right, or creative side, to take lead. He became more comfortable expressing himself artistically and found that it helped alleviate the effects of post-traumatic stress disorder (PTSD). After studying art at Heartland Community College, Casper came to SAIC in 2010. This healing spurred the creation of CreatiVets 2013. Its mission is to provide disabled veterans with opportunities to use art therapy, music, and creative writing to address the psychological and emotional needs that arise from combat-related trauma. He started with a songwriting program, and in partnership with SAIC, has expanded into a studio arts program. The students who participated in Intro to Art for Veterans are combat veterans from the wars in Iraq, Afghanistan, and Vietnam in addition to the Global War on Terror. “The veterans are like any of our students here, except that their life experiences go beyond that of the average freshman,” says Labb, who led a tour of the Art Institute of Chicago’s photography collection and taught three days of the class. Some of the veterans, like Walt Cronin, a Vietnam War vet, have previous exposure to studio arts. “I’ve explored a lot of alternative therapies, like painting, so I feel that I have a toolbox of techniques I can employ to keep myself grounded and centered,” says Cronin. I’ve gone from suppressing to expressing my emotions. Others, like Gino Soto, a veteran of the Iraq and Afghanistan Wars, have no prior experience, but came to the program with an open mind. “Richard’s classes opened my mind and changed how I look at art,” says Soto. “I’ve gone from suppressing to expressing my emotions.” He, like the others, plans to continue exploring creative outlets when the class is over. 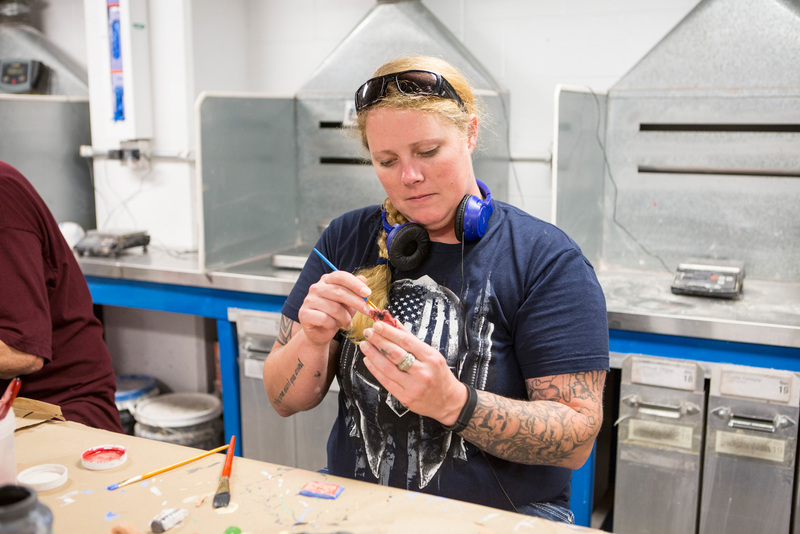 Bree Fuller, a veteran of Operation Enduring Freedom in Kyrgyzstan, is working on a ceramic piece that directly relates to the 22 veteran suicides that happen each day. “A lot of us have lost more buddies to suicide than in combat. It’s a struggle every day for veterans,” says Fuller. She hopes her artwork will bring public awareness to the gravity of this issue. Fuller encourages other friends who are struggling with trauma to participate in CreatiVets’s songwriting program. “In the military, you feel like you are on top of things, like you understand. Coming out of the military, you feel…like you have to learn everything over again,” says Jonas Rides At The Door, a veteran of the Iraq War, who served with Casper. 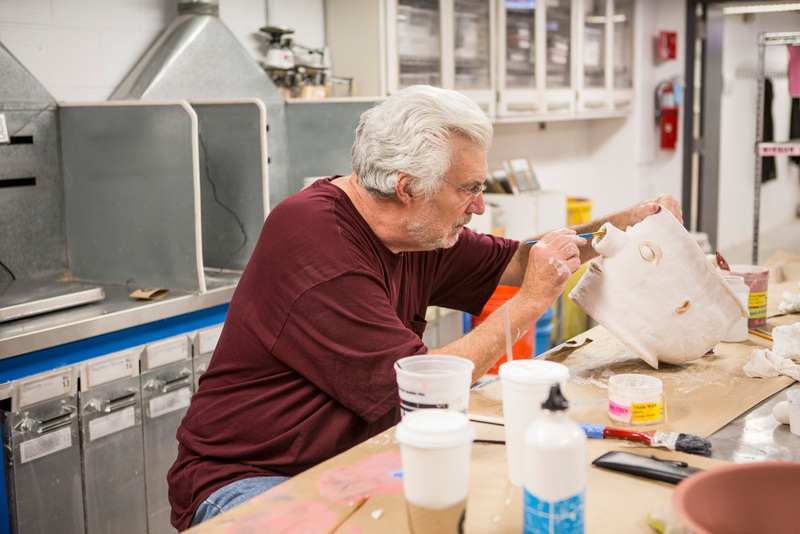 The connection between Casper and the students is evident upon seeing them laugh and joke with one another as they work with ceramics in the studio. “We share a camaraderie, regardless of where we served, there’s an immediate bond,” says Rides At The Door. Sharing is often the hardest part for veterans. Casper, who currently lives in Virginia, will be relocating to Nashville after the summer program at SAIC. The move will allow him to save money on his own transportation and lodging in Nashville and fund another veteran’s trip in his place. 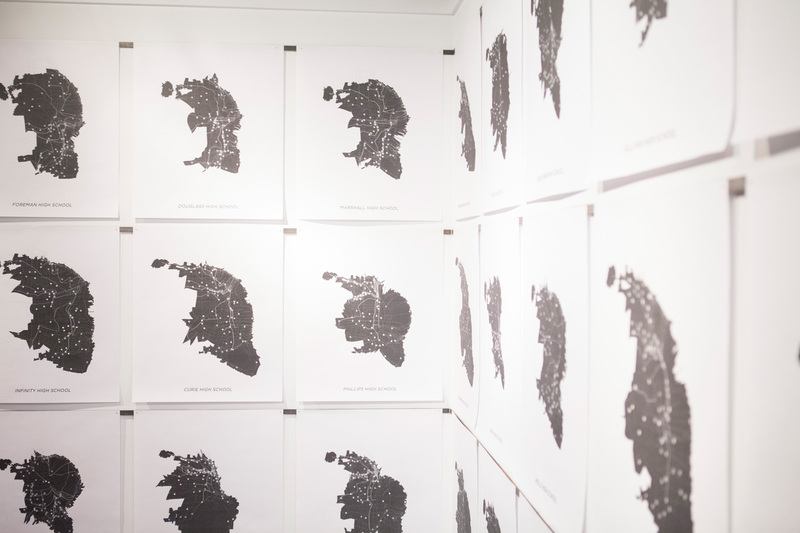 He is also looking for ways to expand his studio arts program at SAIC and with other universities across the country. Ideally, he says he would like to open a facility available for veterans to visit anytime of the day or night and express themselves artistically. An optimist at heart, Casper believes that artistic expression can help save lives. 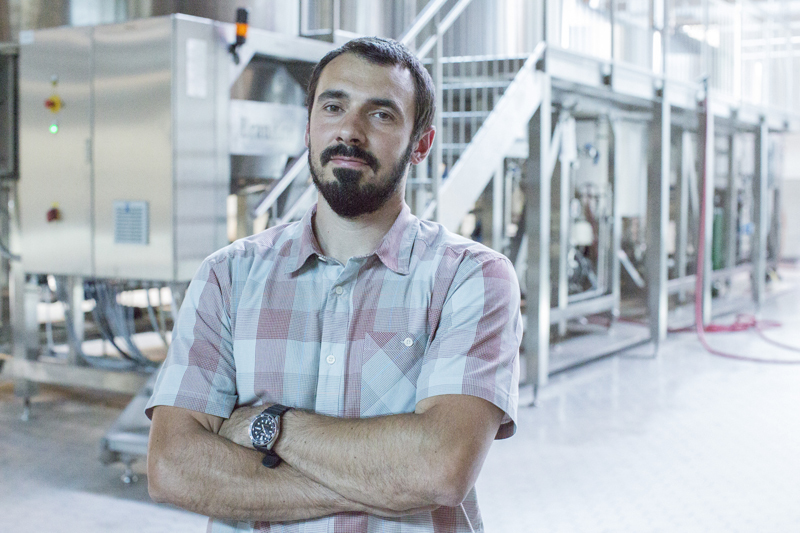 The founder of Half Acre Beer Company (and SAIC alum) brewed up a seasonal ale to celebrate SAIC’s 150th Anniversary. 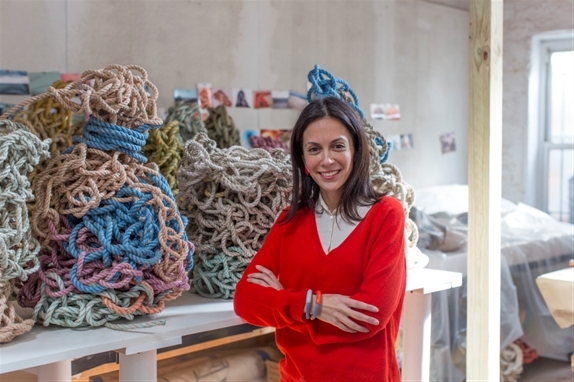 Orly Genger (Post-Bac 2002) forms public dialogues from sculptural installations.